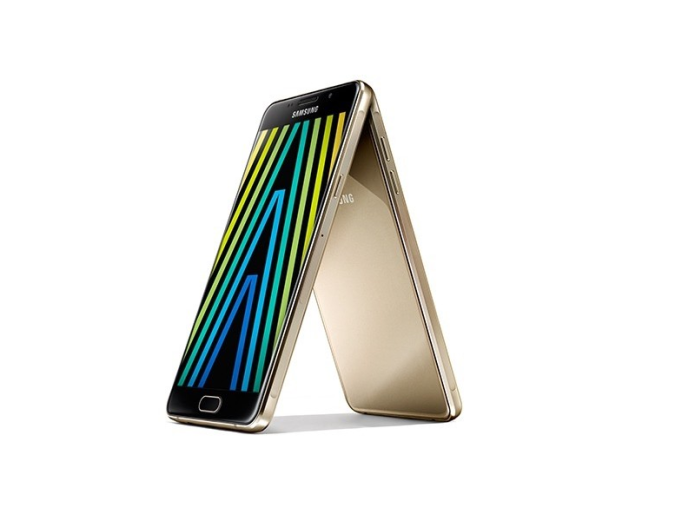 Samsung announced refreshed 2016 models of its Galaxy A devices, the manufacturer’s mid-range line-up of smartphones consisting of the Galaxy A3, Galaxy A5, and Galaxy A7. The second-generation Galaxy includes a few small changes, such as larger screens for the A3 and A5, thinner bezels, and fingerprint sensors, with biggest upgrade being support for Samsung Pay on the A5 and A7. The most noticeable distinction between the three Galaxy A models it the display size; the A7 has a 5.5-inch screen, the A5 is 5.2 inches, and the A3 is 4.7-inches. The devices have inherited Samsung’s current design aesthetic of metal and glass, and feature a form factor similar to the standard Galaxy S6. The Galaxy A7 and A5 now both feature Samsung Pay, the company’s mobile payment system that supports both NFC and Magnetic Secure Transmission (MST), along with fingerprint verification via the devices’ sensor. The cameras have been upgraded across the Galaxy A line-up, with 13-megapixels on the rear and 5-megapixels on the front, each paired with F1.9 lenses, across all three models, while the A7 and A5 now feature Optical Image Stabilization (OIS) on the rear camera for sharper images. The full specs of each device can be found in the images below. Samsung says all three 2016 models of the Galaxy A phones will debut in China in mid-December, with a rollout to other markets to follow sometime after. Official pricing and a timeline for release in other regions were not provided, however.